Garrett Paving Cleaning is a new division of Garrett and Garrett Paving which has been providing paving for houses in Adelaide for over 30 years. Garrett has also undertaken extensive commercial paving work in Adelaide and the Adelaide hills. Garrett’s business has been built on the quality of their work and in some case have laid pavers in 3 and 4 houses for the same customers as people have upgraded their homes. Over 30 years there has been no problems with the quality of the work but over the years any laid surface gets dirty. Pavers are no different and at least every decade probably need cleaning depending on the weather conditions of the suburb they have been laid. Please make a appointment asap if you have deadline you want met!! Garret Paving Cleaning Services expect to get many more testimonials because of their commitment to quality, this is clearly demonstrated by the testimonials and photos of recent jobs shown on the Garrett and Garrett Paving web site. 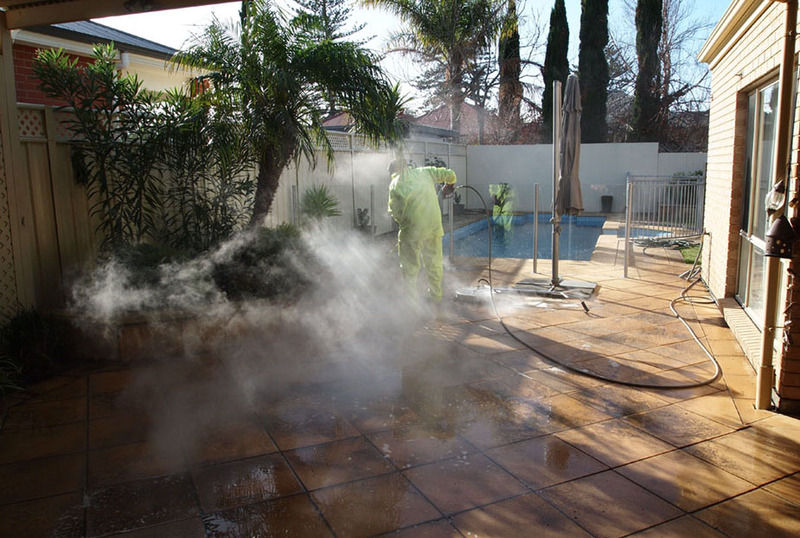 Garrett Paving Cleaning Services are available in Adelaide City, all Adelaide metro suburbs and the Adelaide Hills. Garrett’s paving have extensive experience in all parts of the paving business, in most cases where paving cleaning is required there has been some incidental damage done to the pavers over the years. It makes sense to use the people who are experts in laying pavers and who have know developed what they believe is the best paver cleaning process available. If you are an existing customers of Garrett Paving you will know all about the quality of the service provided! If you are a new customer looking for reliable professional paving cleaning service you have found us. If you would like an approximate quote, go to or contact us page and give us the square meterage of the area you want cleaned and attach some photos. It is easy to attach the photos just follow the prompts. If the preliminary quote is acceptable an appointment will be made to confirm the price at an on site meeting.